Today we’ll reflect on Kobe Bryant’s legendary career with a look at a few of his final sneakers worn on the court. 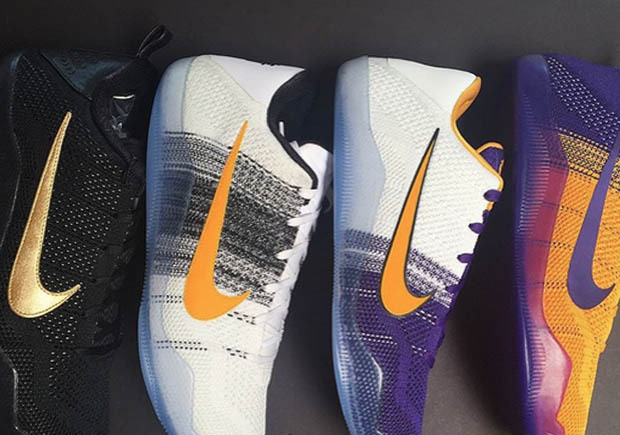 This impressive set of the Kobe 11 in PE colorways from the Black Mamba’s final season includes some of the best on-court colorways of the shoe ever, with Lakers-friendly Flyknit color combinations like in purple/yellow and white/purple, as well as the “Mamba Day” edition in black and gold worn by Kobe in his final game. 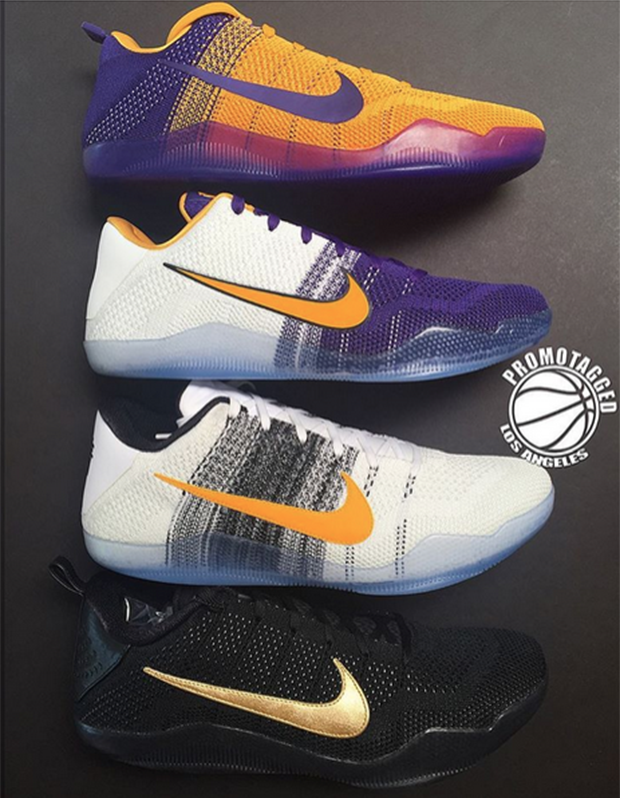 Which colorway would you like to add to your collection?